I have written several articles about Japanese sushi so far. However, I have never published such a post with the basics of sushi. I have finally prepared short guide “Sushi for the beginners” where you will find descriptions of various types and names of sushi. In next posts I will tell more about species of fish and seafood eaten in Japan. But today the basics! First of all, I want to define the term sushi. Generally sushi (寿司) means the Japanese method of preparing and serving fish/seafood (often raw) and vegetables on specially prepared rice. The rice is seasoned with sugar, rice vinegar and condiment mirin. Depending on the method of serving (the size and shape of rice and fish portions) there are several types of sushi. I think you may already be familiar with some of them. Yet, let’s do a summary. 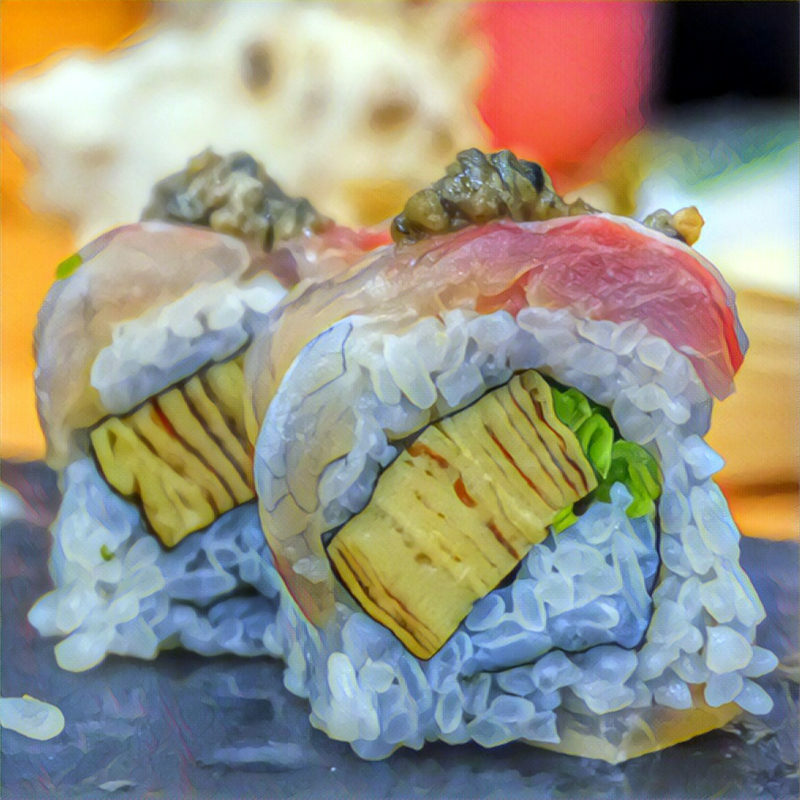 If the word sushi is combined with the preceding word (and together they form a new word), it is pronounced and written in the Latin alphabet as zushi. Also, if a woman talks about sushi in Japanese, she usually call it osushi, adding the prefix o-, which softens the word, thus gives it some sort of elegance. Nigiri (or actually nigirizushi / nigiri-zushi) is one of the most common type of sushi. The name simply explains the concept of this sushi. 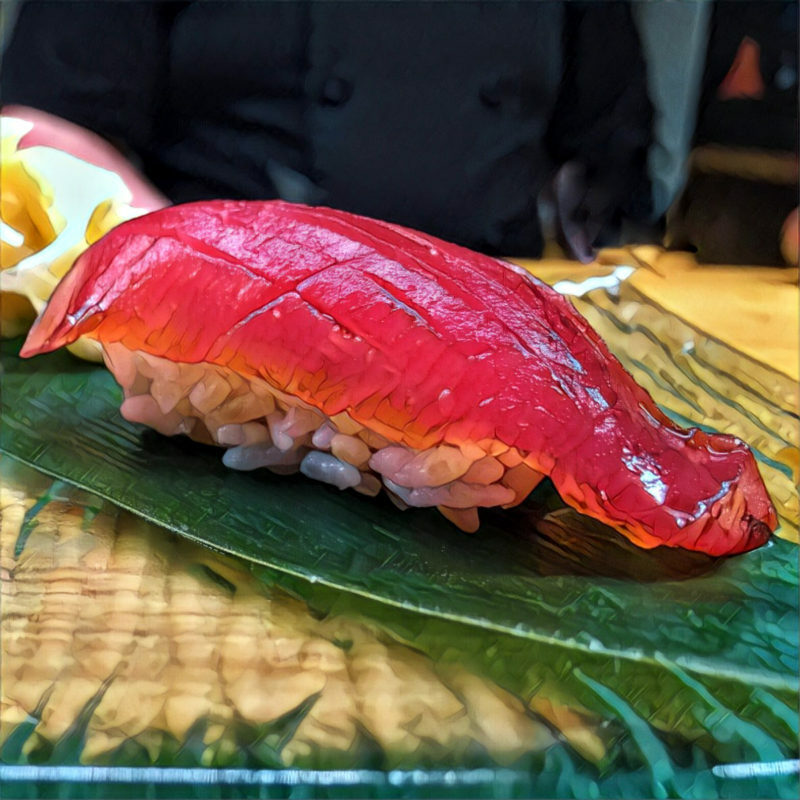 Nigiri means “to grasp” and nigirizushi is a hand-made oval portion of rice covered with the piece of fish, seafood or Japanese omelette. Between rice and topping there should be a bit of wasabi. (Wasabi is green Japanese horseradish). 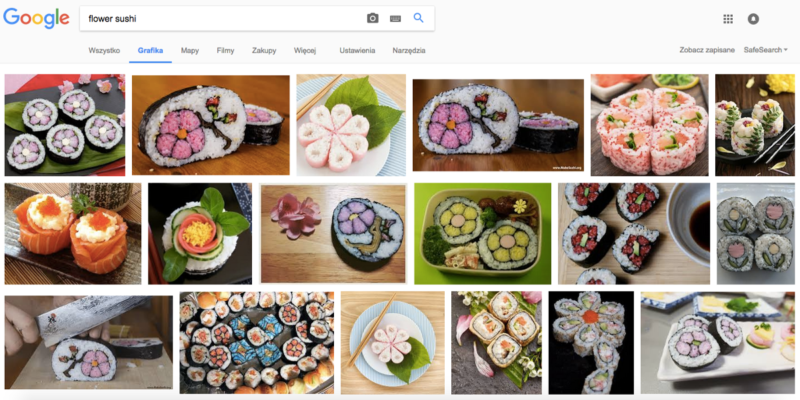 Maki (or actually makizushi / maki-zushi) is the second most common type of sushi. Maki stands for “wind” or “roll”. And maki-zushi means the “rolled sushi”. Makizushi is prepared in the form of rice roll filled with additives and wrapped in pressed seaweed nori. (Occasionally you can find makizushi wrapped in an omelette.) The roll is cut into pieces. The additives inside the roll can include one or few elements, eg. fish, vegetables (marinated radish, pickled calabash), etc. Makizushi is served with wasabi paste, soy sauce and marinated ginger on the side. The name hosomaki / hoso-maki comes from the word meaning “thin”. Hosomaki is the smallest sushi. Its size (diameter) is about 2-3 cm. Most often it is a single-component roll. Due to the small size, this type of sushi is a prefect dish for children. The name chūmaki / chū-maki comes from the word meaning “middle” or “medium”. And chūmaki is the medium size makizushi. Its size (diameter) is about 3-4 cm. Usually it is a multi-component roll. 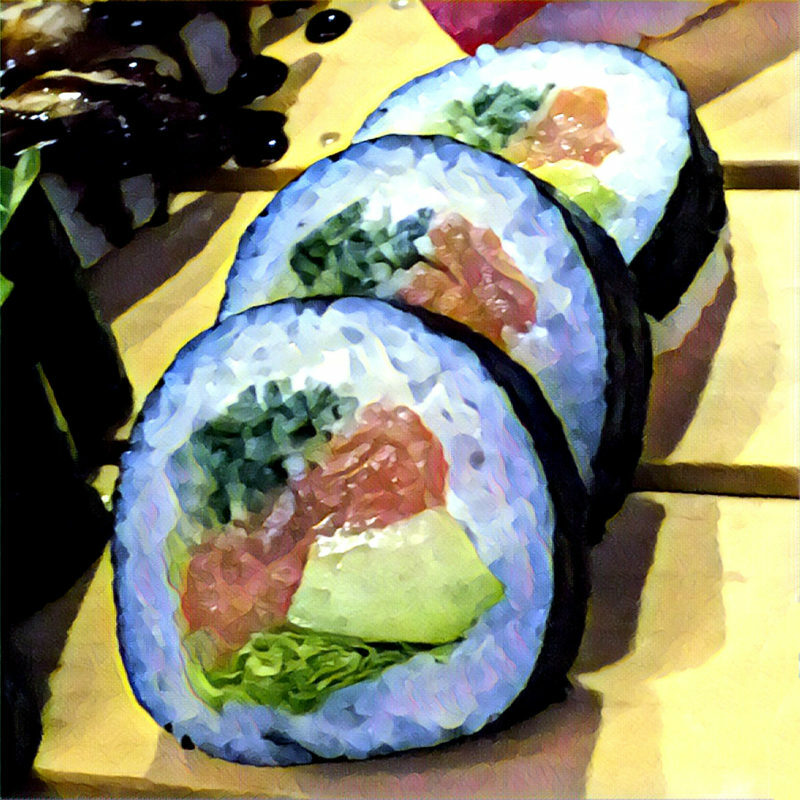 The name futomaki / futo-maki comes from the word meaning “thick” or fat”. Futomaki is the largest size makizushi. Due to the large diameter (about 4-6 cm) and small thickens (about 1 cm) the pieces of futomaki are quite flat. It is a multi-component roll. Sometimes the fill components create patterns – eg. flowers. 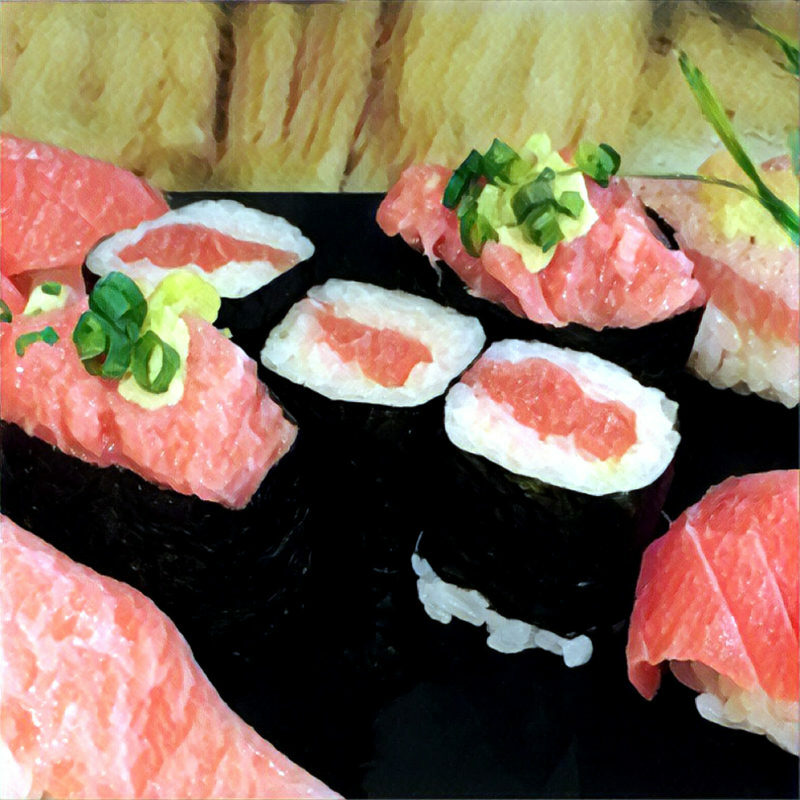 The name uramaki means something like “inverted maki” or “reversed maki“. This is the sort of roll, in which the additives and nori seaweed are inside, while rice forms the outer shell. Gunkanmaki / gunkan-maki is the “tube” of pressed seaweed nori, filled with rice (bottom layer) and toppings. I is a popular way to serve roe, especially the sea urchin roe or salmon roe. Some sources consider gunkanmaki as the special type of nigirizushi, though. It is a bit like a nigiri piece, but wrapped in nori flake. Ehōmaki in Japanese means more or less the “lucky direction roll”. These rolls contain seven ingredients considered to be lucky. The typical ingredients include among others: eel, egg, kanpyō (dried shavings of calabash) and shītake mushrooms. Japanese people often eat ehōmaki rolls on setsubun (day before the beginning of spring) to get lucky and successful in the forthcoming time. They don’t cut this roll before eating! Don’t call Korean kimbap a sushi! Some confuse Japanese futomaki and Korean kimbap (gimbap). But preparation of Korean kimbap‘s rice does not include seasoning with sugar, vinegar and mirin. Besides, the additives in kimbap may include meat other than fish (eg. spam) or carrot – the ingredients that don’t appear in sushi. Kimbap may look similar to futomaki but it is a different dish. The next few types of sushi are not very popular outside the Japan, however it is worth to know them. 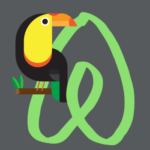 And you definitely should try them if you have the occasion. The temaki (or actually temakizushi / temaki-zushi) is a cone of pressed seaweed nori, filled with toppings. 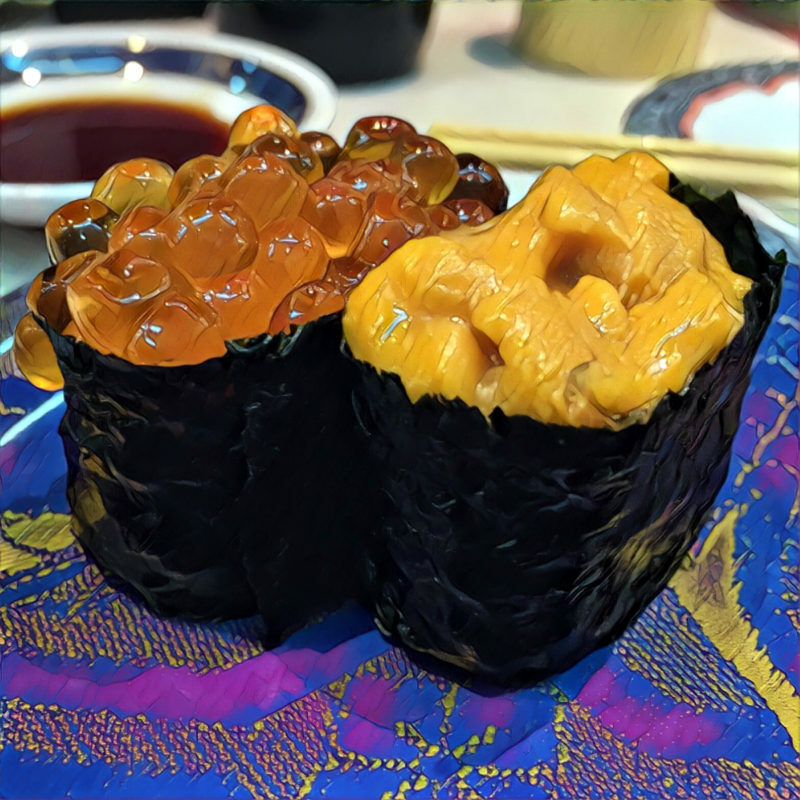 The toppings in temakizushi may include fish, roe or other seafood, Japanese omelette (tamago-yaki), Japanese mashrooms (eg. shītake), etc. Name chirashizushi / chirashi-zushi (or barazushi, barachirashi) stands for “scattered sushi”. 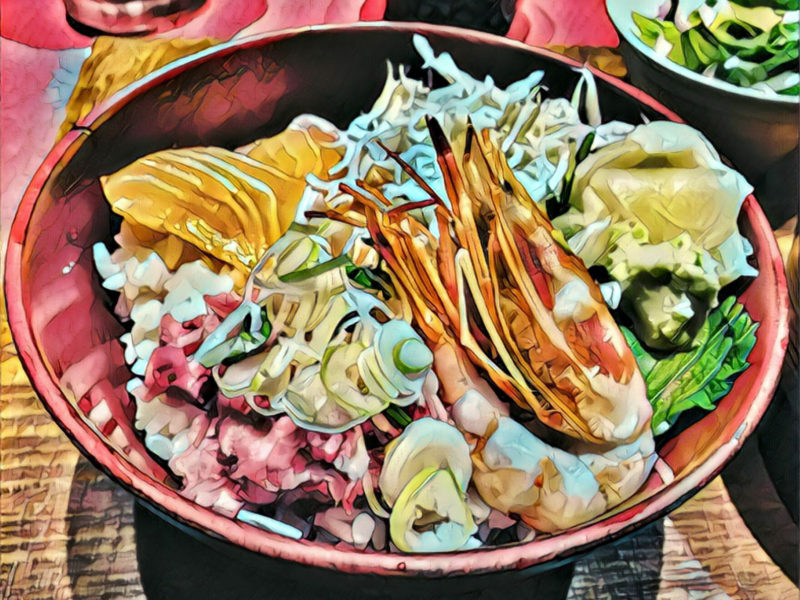 Basically, it is a bowl of rice with a variety of raw fish, other seafood, tofu and vegetable garnishes, including local specialties like lotus root, shītake mushrooms, etc., on the top. 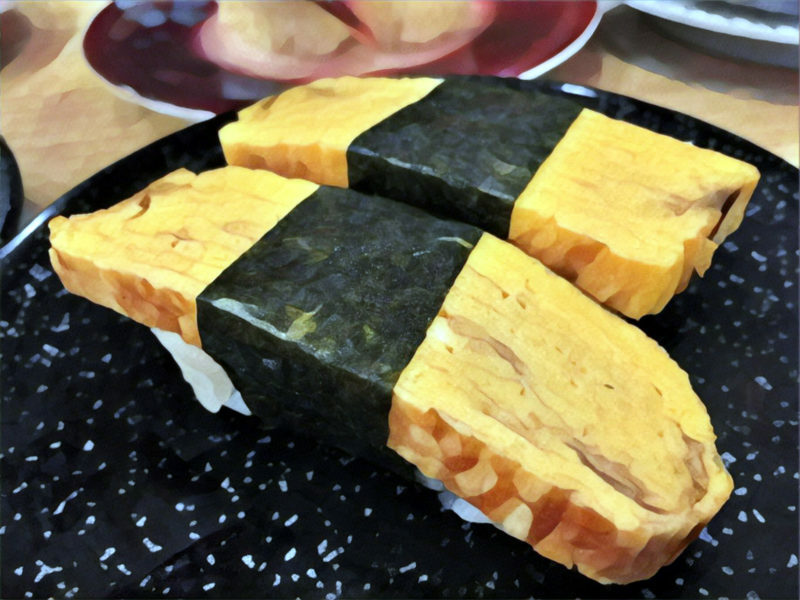 Oshizushi / oshi-zushi is a sushi formed in the shape of a cube. The shape is obtained thanks to a special form called oshibako, in which rice and additives of one kind are pressed. The Japanese associate this type of sushi primarily with the Kansai region. They call oshizushi also the term battera (in Osaka prefecture), gozaemonzushi (Tottori prefecture) or kakuzushi (Hiroshima prefecture). Inarizushi / inari-zushi is a portion of rice closed in fried tofu “skins” (inari) and simmered in a sweetened soy sauce. This type of sushi is often added to sets served in bentō (take-away lunch boxes). Personally, I love the sets including inarizushi and soba. 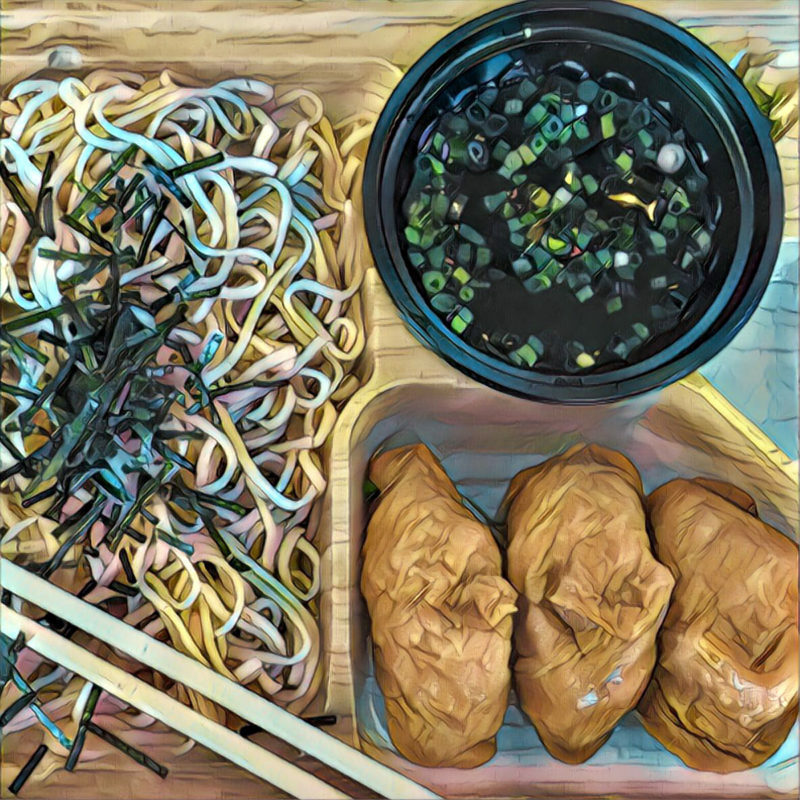 (Soba is the Japanese buckwheat noodles). The legend tells that inarizushi is named after the shintō goddess, Inari. 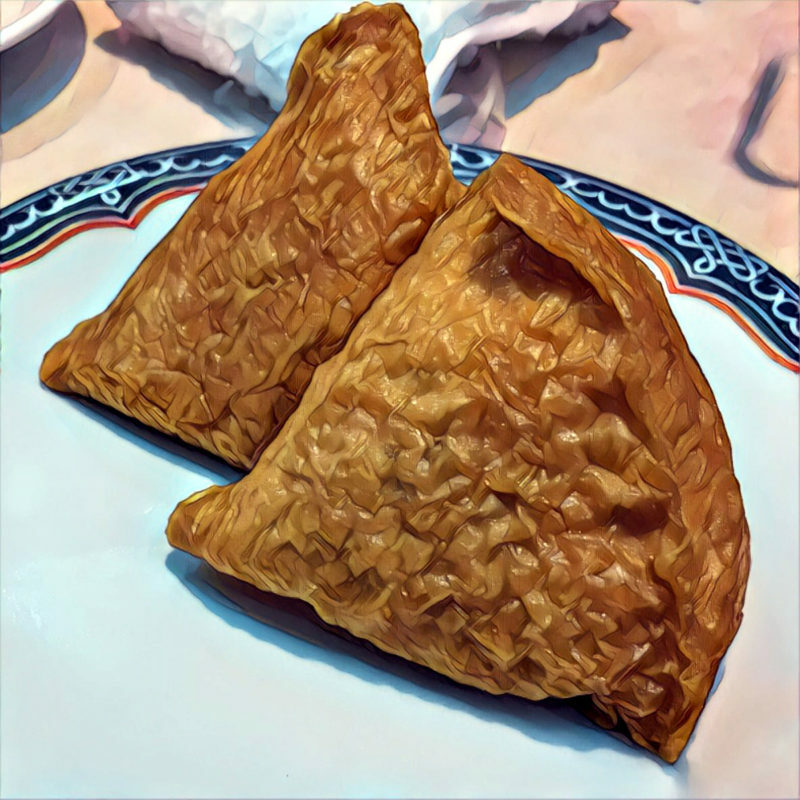 Foxes, the animals devoted to Inari (considered to be also her messengers) are believed to have great fondness for fried tofu. Moreover, the inarizushi pieces have pointed corners resembling fox ears. Narezushi / nare-zushi is the kind of sushi with fermented fish, that was previously gutted, filled with salt and put into the barrel for a long time. Crunchy roll (California Roll in a batter, often with sauce). I hope you liked my short guide on various types and names of sushi. As sushi has long been popular in the West, I’m sure that I have only completed your knowledge with few details. However, I am curious what is your most favorite type of sushi. My most favorite sushi is definitely the nigirizushi as I eating it I can taste the pure fish. A pure taste of Asia. QUESTION: Which type of sushi is your favorite? 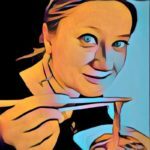 Interested in Japanese food?! Check the category Japanese cuisine!